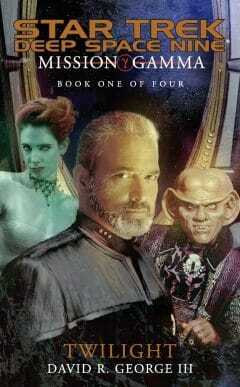 In 2001's critically acclaimed Avatar novels, author S.D. 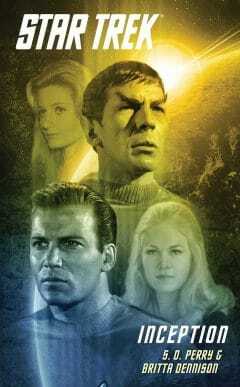 Perry set the tone and the course for the continuation of Star Trek: Deep Space Nine®, a controversial television phenomenon hailed by TV Guide as "the best acted, written, produced, and altogether finest" incarnation of Star Trek®. Since then, the DS9 saga has grown in complexity and momentum, attracting an ever-growing audience to novels about which one reviewer raved, "In these pages, DS9 truly lives again." 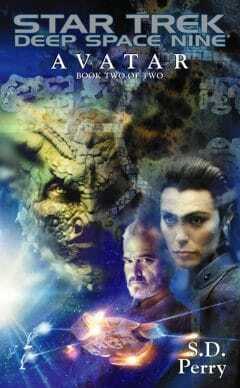 Now, following her triumphs with Avatar and Rising Son, S. D. Perry returns for a landmark tale celebrating DS9's tenth anniversary year. On the eve of Bajor's formal entry into the Federation, First Minister Shakaar was assassinated, derailing the induction and plunging the planet and station Deep Space 9™ into chaos. Investigation into the murder revealed the presence of a parasitic conspiracy threatening not only Bajor's future with the Federation, but the very survival of both. At the same time, the fracturing of Bajor's theology has put its people on the threshold of a startling transformation -- and the consequences now rest on the shoulders of Colonel Kira Nerys, who months ago defied the religious authority of her planet by making public an ancient heretical text that challenged the very foundation of the Bajoran faith. Now, after a harrowing and historic voyage of exploration in the Gamma Quadrant, the weary, wounded crew of Starship Defiant is at last coming home. 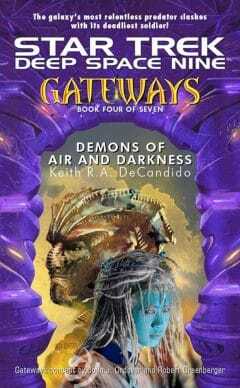 But the joy of their return is short-lived as the crew becomes swept up in the crisis aboard the station, with many of them confronting personal issues that force them to make life-altering choices. Among those is a grief-stricken Commander Elias Vaughn, who reaches a crossroads in his life's journey and learns the true purpose for which he was Touched by the Prophets...as well as the ultimate fate of Captain Benjamin Sisko. And...somewhere on Bajor...a child long awaited is about to be born. 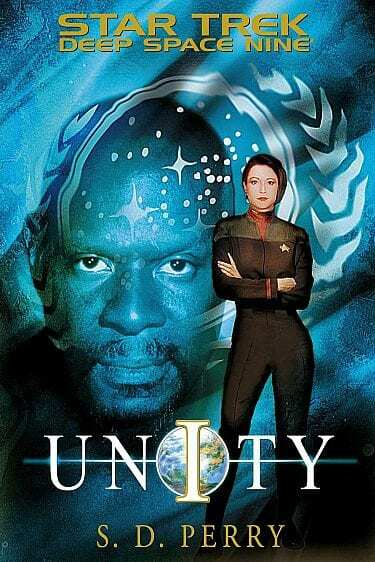 In the uneasy ceasefire following the Dominion War, a surprise attack cripples Deep Space Nine, killing hundreds and threatening the peace of the galaxy, as Kira Nerys and her fellow survivors struggle to prevent all-out war and protect Captain Sisko's unborn child, and Captain Picard and his crew make a startling discovery that could forever alter the destiny of all concerned. 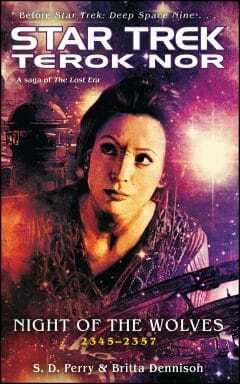 When a deadly force from the Delta Quadrant threatens to annihilate a world near Deep Space Nine, Kira Nerys and her crew battle to avert an planetary disaster, while Lieutenant Nog and Ensign Thirshar ch'Thane race against time to shut down the spatial portals forever, and Quark becomes embroiled in an interstellar conspiracy. On the original Deep Space Nine, Captain Kira Nerys watches as the nearby wormhole opens and discharges a single, bladelike vessel. When an armada subsequently begins to emerge from the wormhole, she orders her first officer to board the USS Defiant and defend the station. 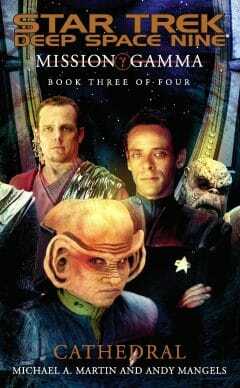 As the planet Bajor takes steps to join the Federation, Deep Space Nine is confronted by political turmoil and religious conflict, and Commander Elias Vaughn and the crew of the U.S.S. 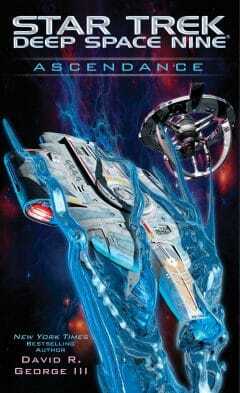 Defiant journey through the wormhole to explore previously unknown regions of the Gamma Quadrant. 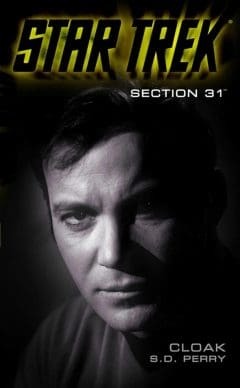 Kirk discovers that technology he obtained earlier for the sake of peace is being put to sinister purposes as Section 31 sets in motion a plan that could bring the major powers of the galaxy to their knees. Young biologist Carol Marcus has a project that she believes can reshape planets. She dares to dream of a Federation where there is never any hunger and every world is a paradise. One of Carol’s more enthusiastic team members is botanist Leila Kalomi., who sparks the interest of Spock, who convinces her to join Project: Inception. Cardassian Ambassador Natima Lang has returned to the station on a mission of hope, but it's one that will bring back old wounds and old ghosts. Elsewhere, the crew of the damaged Starship Defiant forges an uneasy alliance with an unusual alien species - one whose unique biological makeup is the key to the balance of power in that region of the Gamma Quadrant. Searching desperately for his missing father, Captain Benjamin Sisko, Jake Sisko enters a wormhole that hurtles him across the galaxy, to an encounter with an alien ship populated by a strange alien crew whom he joins on a bizarre and unexpected adventure through the universe. 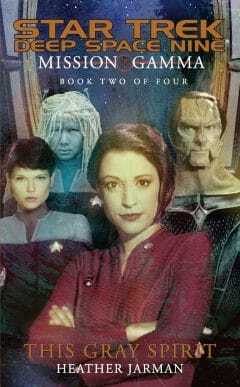 After a breakdown in diplomatic efforts to secure a lasting peace between the Bajorans and Cardassians, an alliance of alien religions offers unexpected new hope, until a mysterious, ancient alien artifact sends crewmembers of the Defiant on individual odysseys of self-discovery at the height of a dangerous military confrontation. Eighteen years into the Occupation, a new star rises in Bajor's sky. But even as the gray metal crown of Terok Nor ascends to its zenith, ragtag pockets of Bajoran rebels - including a fierce young fighter named Kira Nerys - have begun to strike back at their world's oppressors. 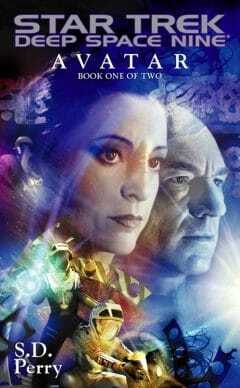 Intendant Kira, Overseer for the entire Klingon-Cardassian Alliance, must deal with Deanna Troi, the ambitious consort of Regent Worf, and B'Elanna Torres, half-human Intendant of the Sol System, as she enters into a dangerous liaison with Annika Hansen, an undercover agent of the Obsidian Order, who has orders to kill Kira.